Upon arrival you will meet Jennifer, our fantastic receptionist, fill out a health history questionnaire, followed by viewing a short informative video. The questionnaire is fairly lengthy, so it typically takes 30 minutes to complete. 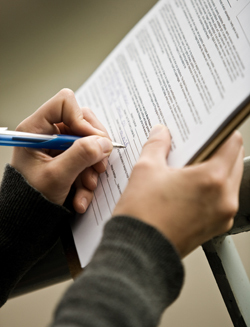 However, to expedite this process, the forms can be emailed to you to complete prior to your first visit. Next, you will meet Dr. Amy in her office where she will go over in detail your health information and then perform a complete examination. This enables her to determine how she should proceed in terms of diagnostic tests and treatment. If possible, please bring copies of recent medical reports including x-rays, MRI’s, CT scans, bone scans, blood work, and an itemized list of current medications. This process will take 60 minutes. In the event you request treatment on the first visit, please indicate this to Jennifer as additional time will be required. Even when desired, this may not always be possible due to Dr. Hunter requiring further information.